We are less than 400 days until the next election and if it isn’t already clear to you, Justin Trudeau has a plan to use the illegal border crosser issue come voting day. Last year we started seeing an increase in people coming across the border illegally. Then we saw a huge increase by summer. After telling us there was nothing to see at the border, the Trudeau government tried to assure Canadians they had everything under control. Lately they would tell you there is nothing happening, numbers are down and all is good. The Trudeau government doesn’t like telling the truth about Canada’s illegal border crossers. From changing the language to manipulating, or outright lying, about the numbers coming across, they have a strained relationship with the truth on this issue. For instance, you likely think the number of illegal border crossers is down from last year. That is the impression the government wants you to have. In some ways, if you take a very narrow snapshot in time, it could be accurate but year-over-year it is false. The numbers are up overall. 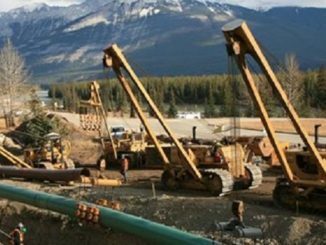 From January to August of 2017 the RCMP intercepted 13,221 people crossing into Canada illegally. In 2018, over that same time period, 14,125 people were intercepted crossing into Canada illegally. That is a 7% increase so far this year. What the government wants to point to is that we didn’t get the big spikes in July and August that we had last year. In August 2017 there were 5,712 that crossed illegally compared to 1,747 people this past August. So that is a big drop comparing just August numbers. But while July and August were down compared to last year, every other month saw an increase from 2017. Illegal is a word they don’t like. Now I’ve been using the words illegal and illegally quite a bit in this post and I have been doing so on purpose. 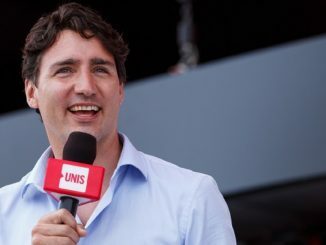 The federal government wants everyone to stop using that word, or at least Justin Trudeau and his team want you to use it. This past week in the House of Commons, Bill Blair, the man who is supposedly the minister of border security but has no one reporting to him, chastised Michelle Rempel for using the word illegal as she questioned him. “I know the member opposite, because of her vast experience on the immigration file, knows that individuals who come to our country, crossing into Canada seeking protection and asylum as they flee from persecution, are not illegal crossers and are dealt with according to law,” Blair said. Funny, that isn’t how the RCMP sees it. The RCMP’s stats on the people they intercept uses the term illegal. See, by saying other illegal crossings the RCMP is implicitly saying that the asylum seekers have broken the law to get into Canada. 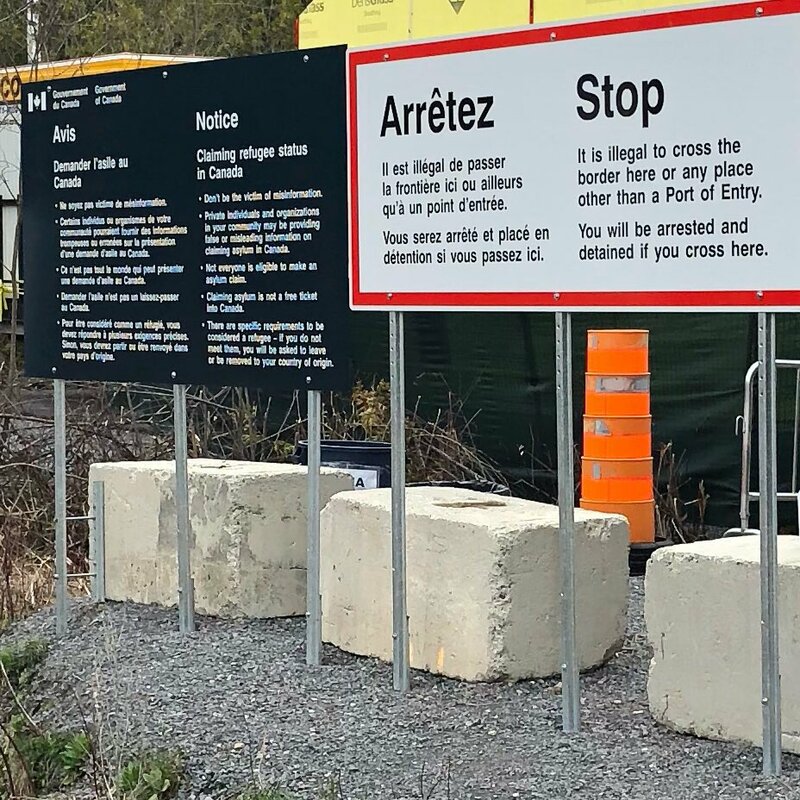 The giant sign at the border also warns people, as do RCMP officers stationed there, that to cross between points of entry is illegal. So the RCMP says it is illegal, giant Government of Canada signs say it is illegal, the government’s own website says it, too. And remember, earlier this year the minister in charge of the file said so. What we have here is a complete attempt by the government to change the language, change the debate, even obscure the numbers. Last week, while appearing on Global, Blair tried to claim that the “overwhelming majority” of people that had crossed illegally had left. Blair has to walk that back later on and admit there was no truth to the claim. The truth is that only 398 of nearly 33,000 people have been removed. 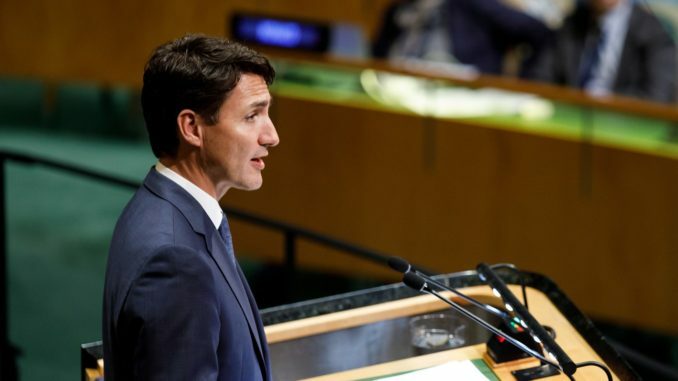 The news also broke that 900 people who were facing deportation orders from the United States had crossed over into Canada and so far we have only deported 6 of them. The Liberals claim there is no problem and no crisis. Despite that they have appointed a minister for the file, they have an ad hoc committee of cabinet that meets regularly to deal with this. They still haven’t solved the problem though. I’ve been saying for some time now that they don’t want to. The Liberals see the border issue as the perfect wedge to put between them and the Conservatives in the next election. My long held theory is the Liberals want this to still be an issue as we head into the 2019 election so that they can attack the Conservatives as racist and anti-immigrant. Their latest attempts to dodge on numbers and change the language strengthens my theory. Here’s the problem, it could backfire. Canadians are welcoming of immigrants and refugees but they prefer those coming here follow the rules. That’s what millions of new Canadians had to do and it is their votes that Trudeau and the Liberals are most at risk of losing in 2019 with this tactic.